The authors express their sincere thanks to the anonymous referee for constructive comments and suggestions, which helped in improving the quality of the paper significantly. An earlier version of this paper was presented on 19 January 2018 at the Institute for Financial Management and Research, Sri City Campus, Chittoor District, Andhra Pradesh. The authors are grateful to the participants for their valuable comments. Microfinance or microcredit represents small loans made to the weaker sections of the population to help them improve their livelihood. Microfinance institutions (MFIs) engaged in providing these loans have been able to challenge the traditional banking system by using the concepts of joint liability and group lending. Over the years, microfinance programmes have emerged as an important factor in reducing poverty and bringing about social change. In India, the movement took shape when the National Bank for Agriculture and Rural Development (NABARD) took up a pilot project, along with some non-governmental organisations (NGOs), of formally linking self-help groups (SHGs) with banks for meeting the credit requirements of poor households in rural India. The high demand for such microcredit propelled many different types of organisations into the sector, including non-banking financial companies (NBFCs). These organisations started with the genuine objective of helping the poor and low-income people but, over time, they started drifting from their social objective and became linked to mainstream finance, and their focus shifted from social goals to other organisational goals such as higher profitability, repayment rates, and market share. It resulted in aggressive lending and undesirable recovery practices in the market, which affected daily livelihood, social networks, and the dignity and self-worth of poor households (Hulme and Maitrot 2014). The sector was almost paralysed by repayment problems in 2010–11. Default rates and village suicides increased, particularly in Andhra Pradesh. The sector, earlier characterised by high repayment records, suddenly started witnessing high loan defaults, and over-indebtedness among borrowers emerged as the most important concern (Lascelles et al 2014). Over-indebtedness is not only borrowers’ inability to repay loans; it is also MFIs’ lack of professionalism and their inability to evaluate clients’ creditworthiness and manage arrears and recovery practices (Lascelles et al 2014). It is impossible to completely eliminate over-indebtedness, but it can be contained to reasonable levels. Historically, banks have avoided lending to poor households because “information asymmetry” in credit markets for the poor is high. Banks cannot distinguish between safe and risky borrowers, and tend to charge high interest rates. Poor clients cannot provide any collateral because of non-availability or non-existence of clear property rights. The market mechanism fails and poor households are excluded from the formal credit market (Aghion and Morduch 2005; Akerlof 1970; Stiglitz and Weiss 1981). In the financial sector, MFIs emerged as a new paradigm. To circumvent the typical problems faced in lending to the poor, MFIs introduced innovations such as group lending with joint liability, dynamic incentives, frequent repayment of instalments, and targeting women as clients. These features helped MFIs solve the problems of adverse selection, moral hazard, auditing, and enforcement; reduce the transaction cost associated with lending uncollateralised loans; and improve their financial viability (Ghatak and Guinnane 1999). The possibility of access to future loans, regular repayment schedules, and the use of the “social penalty function” also ensured that loans are repaid on time (Besley and Coate 1995; Morduch 1999). Empirical evidence suggests that microfinance positively impacts household income, health, children’s education, and women’s empowerment (Bolnick and Nelson 1990; Coleman 1999; Goldberg 2005; Khandker 2005; Lindberg et al 2011; Pitt and Khandker 1998), but some recent studies find that microfinance affects poor households negatively or not at all (Banerjee et al 2009; Ciravegna 2005). The rapid growth of MFIs and the entry of commercial lenders let borrowers borrow from multiple lenders, thereby weakening their repayment incentive (Hoff and Stiglitz 1998; McIntosh and Wydick 2005; Vogelgesang 2003) and creating a warlike situation where MFIs vied for clients by offering larger loans, faster services, and lower interest rates (Rhyne and Otero 2006). This resulted in higher debt among poor clients. When the economic condition stalled, they could not service loans. Concentrated markets, overstretched MFI systems and controls, and erosion in lending discipline led to high defaults in various countries (Chen et al 2010). The Indian microfinance sector was also on the verge of collapse because of high defaults in 2009–10 (Polgreen and Bajaj 2010). With rapid expansion in loan portfolio during the early 2000s, MFIs did not invest time in building relationships with clients or training staff, as in the initial years; rather, they engaged in predatory lending, unfair debt collection practices, charging very high interest rates, and mis-selling of microcredit products. 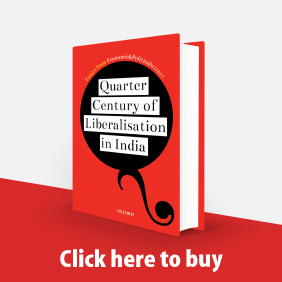 The immediate result of the crisis was the rise in village suicides, particularly in Andhra Pradesh, and a huge political backlash (Haldar and Stiglitz 2014; Lascelles et al 2014). The growing concern of over-indebtedness in various countries induced several researchers to analyse the situation. Gonzalez’s (2008) study of the Bolivian market was one of the first extensive studies on over-indebtedness in microfinance. Based on the data of 1,256 households that had availed at least one microloan during the 1997–2001 period, Gonzalez observed that almost 85% of the respondents were over-indebted. The microfinance market in Ghana was studied by Grammling (2009) and Schicks (2010). Using a measure based on de-capitalisation of asset and liability, Grammling concluded that 12% of MFIs’ borrowers were over-indebted, while another 16% were at risk of over-indebtedness. Schicks’ (2010) study was much broader in coverage, and it used a different definition of over-indebtedness: if the borrower struggles continually to repay, and if they experience unacceptable sacrifices related to their debt, they are over-indebted. The study found that almost 30% of the 531 micro-borrower households interviewed were over-indebted. The likelihood of over-indebtedness was higher among poor borrowers. It increased if the borrower had to face adverse economic shocks or had low returns in investment or if the loans were used for non-productive purposes. The chances of being over-indebted were also higher among borrowers with low debt-specific financial literacy. Liv’s (2013) study of the Cambodian microfinance market found that 22% of borrowers were over-indebted based on their capacity to repay, while only 6% of them were over-indebted based on struggle and sacrifices. The econometric analysis found that multiple borrowing was a primary reason for over-indebtedness and that borrowers with low entrepreneurial profits and financial literacy had higher chances of being over-indebted. Ericksen et al (2014) study of the Mexican market indicated high prevalence of arrears among borrowers with multiple loans. The branch managers interviewed in the survey indicated that high competition in the marketplace resulted in many bad practices. Credit promoters disseminated false information about rival lenders, gave clients incentives for agreeing to loans on the spot, and even delayed credit reports so that a paid-up client could not obtain credit elsewhere. Borrowers had little understanding of the actual terms of their existing loans. Lack of savings and other assets forced them to take multiple loans for productive reasons and to meet family contingencies. However, despite these problems, these overstretched borrowers were more than eager to pay off their loans and perceived that continued access to credit was important for their future endeavours. In 1991–92, 1998–99, and 2010–11, the World Bank and Bangladesh Institute of Development Studies jointly conducted household surveys. These surveys allowed for the evaluation of over-indebtedness among microcredit borrowers in Bangladesh using a long panel (Khandker et al 2014). The study held a household to be over-indebted if its debt liability exceeded 40% of its income or assets. The analysis showed that 26% of microcredit borrowers are over-indebted, as against 22% of non-microcredit borrowers. The authors concluded that in the long term, MFI loans helped borrowers increase investment and consumption and create a liquidity buffer for emergency needs. The issue of over-indebtedness has also been studied in the context of the Indian microfinance market. Gine et al (2011) study on two selected towns from Karnataka, one of which experienced mass defaults by borrowers from a specific community, was one of the initial attempts to understand the causes of over-indebtedness among microcredit borrowers in India. The study indicated that a larger proportion of respondents from the mass default town had experienced hardship in making repayment than the respondents from the non-default town. The study observed that debt stress was correlated with debt service ratio, income shocks during the preceding year, income variability, and numerical literacy. However, the authors do not rule out the possibility of opportunistic default in the mass default town. Against the backdrop of the repayment crisis in Andhra Pradesh, Sarangi (2011) conducted a detailed survey of three tribal districts. The incidence of over-indebtedness and multiple borrowing was very high in all categories of household borrowers. Borrowers did not have proper information about their loans, and MFIs lacked transparency. The study by Guérin et al (2011) in Tamil Nadu found a similar situation. Of the 334 households interviewed in the study, 20% of them were over-indebted; 19% of these over-indebted households were in the phase of “transitory over-indebtedness”—debt servicing prevented asset accumulation, but they had an effective strategy in place to reduce debt in the future. Another 38% were in the “pauperisation” phase—debt continued rising despite the sale of assets. The remaining 43% suffered from “extreme dependence”—they depended on kin support and charity for daily survival and have no possibility of ever repaying their debt. The authors conclude that over-indebtedness results from a combination of material poverty and growing social aspirations. Among recent studies, Puliyakot and Pradhan (2015) studied over-indebtedness in a particular district in Tamil Nadu while Kalra (2015) studied the situation in the Varanasi district of Uttar Pradesh (UP). Puliyakot and Pradhan’s (2015) study shows over-indebtedness is severe among 42.4% of the sample respondents based on the ratio of loans outstanding over liquid assets, and among 4.4% based on the ratio of total monthly loan repayment commitments to total monthly income. The authors feel that the prevalence of gold loans constitutes the difference. The study confirms that competition in the microfinance market is a significant reason for over-indebtedness. Kalra (2015) surveyed 240 clients from three MFIs operating in Varanasi district, and concluded that microfinance clients’ socio-economic, loan, and business characteristics affect repayment. The socio-economic factors identified in the study were education, housing wealth, and annual household income. Similarly, loan characteristics, such as average loan outstanding, group size, repeated borrowing, and business characteristics like mismatch of cash flow pattern and repayment frequency were also considered significant. Unlike all the other region-specific studies, Mohan et al (2013) study is based on the survey of 1,433 borrowers spread across 13 states in India. The study considers a household over-indebted if the borrower indicates that they were unable to meet their monthly expenses from their household income. The authors found a higher proportion of over-indebtedness among borrowers in the southern region and that it has a positive relation with age and multiple borrowing. The existing studies confirm over-indebtedness in microfinance and that it hurts both poor clients and microfinance providers. These studies suggest several alternative ways of defining or measuring over-indebtedness and various factors of client over-indebtedness. A borrower can have trouble repaying a loan for various reasons, and these reasons are difficult to predict. Over-indebtedness cannot be prevented entirely, but if it is very high or if the trend is increasing, it is a concern. Existing studies on over-indebtedness in the Indian context are mostly region-specific. This study extends the understanding about over-indebtedness in two ways. First, the study uses a definition that is based on the level of sacrifice made by households. Second, it uses household-level data from several mature microfinance markets in the country. The study evaluates the level of over-indebtedness among microfinance borrowing households and the factors of over-indebtedness in the Indian microfinance sector. The first two measures are based on a pre-decided threshold; the third is an objective indicator. These three measures fail to capture the difficulties or sacrifices made by the households to repay loans (Schicks 2010). A high repayment rate does not always indicate that everything is fine with the borrowers, who may encounter various hardships in making repayments on time. If the borrowing household faces difficulties in repaying their loan, the household might be over-indebted, as the debt burden impacts their welfare. Schicks proposes a measure of over-indebtedness based on the level of sacrifices undertaken by the borrowers and defines a household over-indebted if it is making frequent unacceptable sacrifices to repay a loan. Such a definition is important because MFIs aim to facilitate borrowers’ financial goals and improve their income-earning avenues, not to create difficulties. Liv (2013) refers to this as the subjective definition of over-indebtedness. Shicks (2010) and Liv (2013) list sacrifices borrowers make. This study uses their list and—based on a focus group discussion of 40 participants, which included borrowers, field officers, and senior branch officials—categorises sacrifices into acceptable, less acceptable, and least acceptable (Table 1, p 49). The survey also captures how often these sacrifices occur—never, sometimes, and often. Using these sets of information, if a borrowing household makes a “less acceptable” sacrifice often or any of the “least acceptable” sacrifices sometimes or often, it is classified as being over-indebted. Having determined a household’s over-indebtedness, the study tries to identify its drivers using a logit regression model. The logit regression empirically determines the relationship of over-indebtedness with independent factors by estimating the odds ratio. An odds ratio of 1 indicates that the condition under study is equally likely to occur in both over-indebted and not-over-indebted groups. If the odds ratio exceeds 1, the condition is more likely to occur in the over-indebted group; an odds ratio less than 1 indicates that the condition is less likely to occur. Any household that has an active microfinance loan forms part of the population of the study. The study sample of 280 households is selected from mature microfinance markets spread across 10 districts in Andhra Pradesh (the erstwhile state, now divided into Telangana and Andhra Pradesh), Odisha, Kerala, and West Bengal. These states represent 39.48% of the total microfinance clients serviced and 50.17% of the total loans disbursed in India (Sa-dhan 2013). The sample selection also ensures that the households are spread across the district by restricting the number of households from one village or slum to a maximum of 15 among those who agreed to be a part of the survey. The interviews were conducted over a period of five months, from October 2015 to February 2016. The survey was done independently, without involving MFIs or SHGs, to prevent external influence in questionnaire design, sample selection, or the data collection process. All the respondents were women microfinance clients with at least one active loan. The questionnaire had sections on (i) socio-economic characteristics (age, gender education, household size, number of earning members); (ii) household economic activities and income (occupation, income source, income and revenue, volatility of income, adverse shocks over the previous 12 months); (iii) household expenses (expenses on all items, including food, health, education, social affairs); (iv) debt (all past and existing loans from various formal and informal agencies, repayment, type of loan, its usage and outcome); (v) struggles and sacrifices (type of sacrifices that the borrowers make and its frequency on occurrence over the previous 12 months); and (vi) a financial literacy test of the borrower. The main variables in the study are household income (HH_IN), household wealth (HH_WL), household adverse economic shock (ECO_SK), loan usage (L_USG), return of investment (RIO) for loans, and the level of financial literacy (FIN_LT). The variable Xi is a vector of control for the borrower’s characteristic, which includes the borrower’s age, educational qualification, and type of occupation. Similarly, the variable Zi is the control vector for the household, which includes the proportion of non-earning members in the household, the household head’s educational qualification, and the household’s main occupation. Other than these, household location (LC) and loan cycle (L_CYL) have also been used as control variables. The dependent variable, over-indebtedness (OI), is a binary variable, which takes the value of 1 for over-indebted households and zero otherwise. The existing literature on repayment problems, credit risk, and over-indebtedness from developed nations and microfinance markets suggests that the most important economic factor of over-indebtedness is the borrower or household’s income level (Disney et al 2008; Liv 2013; Livingstone and Lunt 1992; Shicks 2010). If a borrower’s income is low, so is their absolute cash inflow, and the share of total income needed for other essential living expenses is larger, and their repayment capacity is low. For poor households, income is critical because it is not only low but, often, irregular. If incomes are unstable, borrowers cannot service debt properly, and their risk of over-indebtedness is high. Similarly, the availability of liquid assets directly impacts borrowers’ debt burden. Wealthier borrowers or households are likely to have liquid assets that they can use to repay their loan, but poor households lack liquid assets, and they are exposed to adverse shocks in both income and expenses. Borrowers can adapt to longer-term reductions in income or wealth by reducing consumption or shifting income-generating capacity, but they are likely to experience hardship in the face of unexpected expenses (due to medical emergencies or funerals) or sudden loss of income (due to natural calamities, sudden death of cattle, or crop damage). The main objective of providing microcredit loans is to help poor households improve earnings; therefore, how the borrower invests the loan amount is critical, as low returns on investment can make repayment difficult (Gonzalez 2008; Hulme 2007). The return on investment, which depends on the borrower’s choice of investment, entrepreneurial skills, and market and business conditions, is likely to fall if the loan is used for non-productive consumption or income smoothing (Karlan and Zinman 2010; Shicks 2010). The existing research does not focus enough on another important factor—the borrowers’ understanding of financial products and its implications. Borrowers need to understand the rate of interest they will have to pay, how instalments are calculated, the associated fees, and the financial implications of late payment or default. This understanding depends on the borrowers’ financial literacy (Shicks 2010). The regression model captures all these factors, and it is in line with the life-cycle (Modigliani 1966) and permanent income (Friedman 1957) hypotheses. Out of the total 280 households included in the study, 169 households, or 60.35% of the sample, are from rural regions, and 111 households are from urban regions. Borrowers range in age from 20 to 65; their average age is 36.54 years. Their household size averages just above four, and their annual income averages`1,17,907. Around 45% of household heads are involved in some business activity, whereas 50.36% of the borrowers are involved not in any income-generating activity but in household work. The 280 households had 456 active loans in total; 298 of these were from MFIs, 114 were from informal sources, and 44 loans were from the formal sector. The number of formal sector loans (other than microcredit) indicates the low access to formal institutions (Figure 1). Disbursed loans total`1,80,43,351; microcredit loans total`82,81,850, or about 46% of total loans. The formal sector (other than microcredit) is 33% of the loan amount; the informal sector is around 21%. The average microcredit loan is`27,791, while the average informal loan is`33,232.46; formal sector loans average`1,35,750. As per the estimates of over-indebtedness, 134 households are over-indebted; 95 of these households are from rural regions and 39 households are from urban regions. The level of over-indebtedness is 56.21% in rural regions and 35.13% in urban regions. The results of the logit regression (Table 2, p 51) indicate that household income and financial literacy are significant factors in explaining over-indebtedness among poor households. Households with lower annual income and low level of wealth are more likely to be over-indebted. Higher income reduces the debt burden, while higher wealth allows households to manage repayment better. Normally, adverse economic shocks would trouble poor households, but the results indicate an opposite result. It is difficult to explain, but it is statistically insignificant. Loan usage and return on investment are also statistically insignificant, but the coefficients of these factors suggest that business usage and higher ROI reduce the likelihood of over-indebtedness. The relation of financial literacy with over-indebtedness turns out to be opposite of what was expected. The results indicate that higher financial literacy leads to higher chances of over-indebtedness. The level of financial literacy for the borrower sample is itself very low. The average score in the sample is nine out of a maximum of 20. It is 9.42 for the over-indebted group as against 8.59 for the non-over-indebted group. So, it can be inferred that MFIs have not paid enough attention towards improving the level of financial literacy and as a consequence borrowers may have mis-utilised loan products or have taken up risky business activities which has pushed them further into over-indebtedness. Among the borrower control variables, the borrower’s age is the only significant factor, and it has a direct relation with over-indebtedness. Among household control variables, the proportion of non-earning members and household’s main occupation is significant. If a household has several dependent members, pressure increases on household income, as does the chance of over-indebtedness. Performing an entrepreneurial activity provides households an opportunity to employ loans effectively, raise their earning opportunity, and reduce sacrifices and the likelihood of becoming over-indebted. In many households, microfinance loans were used not by the members themselves but by other household members. However, what really mattered is the possibility of using the loans for income generating activities, irrespective of who uses the loan. Finally, household location is another significant factor. Households in urban locations encounter less sacrifice in their livelihood, because infrastructure is better, and higher income opportunities are available, and therefore they are less over-indebted. The survey data also provide interesting information about the types of sacrifice made by households and difficulties faced (Table 3). To ensure timely repayment, households most frequently take on more work, postpone important expenditure, use their savings, borrow money from others, and cut food expenditure. Interestingly, the three sacrifices categorised as least acceptable—threatened or harassed to repay, psychological stress or violence, and forced seizure of property—occur the least in the study. The low occurrence of these sacrifices indicates change in the attitude and operations of microcredit agencies. During 2006–09, the microfinance sector experienced sharp growth, and officers often used unfair practices for loan recovery. The use of unfair practices is considered to be a major cause of the repayment crisis in 2009–10. After the crisis, the Microfinance Act introduced several restrictions to safeguard clients’ interests and protect them from harassment. The survey data indicates the effective implementation of customer protection rules. This household-level study of the microfinance sector in India confirms the presence of over-indebtedness. Its level, based on the amount of sacrifices undertaken, is quite alarming, particularly in rural regions. The results of the logit regression bring out the fact that income generation is critical for poor households. If borrowers can find ways to increase their income, they can repay their debt. If households have multiple earning members, it improves the total household income. Similarly, an entrepreneurial activity lets other household members expand or diversify income. Getting a job or starting a new business with low skill sets is risky and increases the change of income loss. Therefore, the findings of the study suggest that providing credit or loan is necessary but not sufficient; it needs to be accompanied with adequate income-generating opportunities. This builds a strong case for developing a comprehensive plan to improve the skills set and the level of financial literacy among the borrowers. There is a need for proper training and guidance to increase the employability and business managing capability of poor households. At the same time, the clients should understand their rights and obligations and the long-term implication of having a good credit history. Putting in place such a capacity-building mechanism can prove to be a costly affair for MFIs. It needs a collective effort by the government, social investors, and microfinance institutions. A well designed system of monitoring clients’ repayment capability is also needed to not only help MFIs in detecting over-indebtedness but also in controlling it. The MFIs should own up to this responsibility with due diligence.